Precision Performance Nutrition What Can Special Operations Forces Communities Expect? One of the core capabilities of prolonged field care is telemedicine. We developed the Virtual Critical Care Consult (VC3) Service to provide Special Operations Forces (SOF) medics with on-demand, virtual consultation with experienced critical care physicians to optimize management and improve outcomes of complicated, critically injured or ill patients. Intensive-care doctors staff VC3 continuously. SOF medics access this service via phone or e-mail. A single phone call reaches an intensivist immediately. 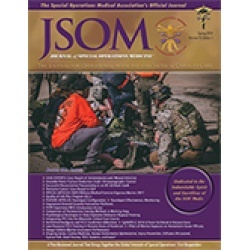 An e-mail distribution list is used to share information such as casualty images, vital signs flowsheet data, and short video clips, and helps maintain situational awareness among the VC3 critical care providers and other key SOF medical leaders. This real-time support enables direct communication between the remote provider and the clinical subject matter expert, thus facilitating expert management from near the point of injury until definitive care can be administered. The VC3 pilot program has been extensively tested in field training exercises and validated in several real-world encounters. It is an immediately available capability that can reduce medical risk and is scalable to all Special Operations Command forces. 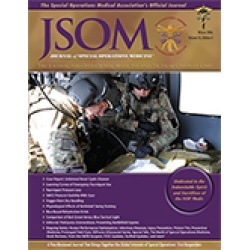 The JSOM ABC's is a biweekly newsletter bringing you Advanced, Breaking, and Current news relevant to Special Operations Medicine. Sign up now for your FREE biweekly mailing.